Omega can be described without exaggeration as an "icon of watchmaking" - besides Rolex there is no other name that comes close to Omega's name recognition and prestige on a global scale. The company's success began in 1848, when the swiss manufacturer and politician Louis Brandt founded a factory in Chaux-de-Fonds. After his death in 1879, the company was taken over by his sons and relocated to Biel close to Bern, where it still has its headquarters today. Since the brothers equipped their factory with state-of-the-art production lines and methods, the first successes could already be seen towards the end of the 19th century: With 600 employees and more than 100,000 manufactured watches, "Louis Brandt & Frères" in 1889 was the largest watch producer in Switzerland. 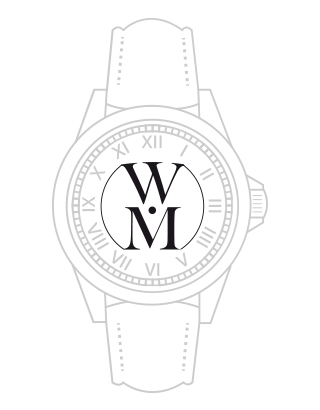 The company got its current name from a pioneering innovation: in 1894, when watchmaking was still entirely handmade, the Brandt brothers developed the first pocket watch movement with industrially manufactured parts. They named the movement "Omega" after the last letter in the Greek alphabet to symbolize the highest possible degree of perfection. After the model was enthusiastically received among horology enthusiasts for its high quality, in 1903 the entire company was renamed "Omega". Omega has always been recognized by it´s high level of innovation in their production methods and in the watches themselves. Throughout its history, the company has produced countless innovations in watchmaking that have significantly improved the precision of their movements. The best known of them is probably a construction that is still produced exclusively by Omega: the co-axial escapement. It increased the maintenance interval of the movements and at the same time the co-axial escapement makes their running much more stable. Also recent developments of Omega are characterized by the spirit of innovation: the "Omega Seamaster Aqua Terra> 150,000 Gauss",the "Constellation"-series and "Globemaster" are appearing. The special feature of these models - they are equipped with movements that are almost completely non-magnetic due to the use of their numerous silicon components. What may seem like a trivial technical gimmick of the Swiss watch industry is a problem that has caused quite some headache for decades. Regular automatic movements are affected by the increasing number of electronic devices in everyday life. When a regular movement enters the magnetic field of a powerful electrical device, its parts become magnetically charged, which can influence the precision of the gearing and, in the worst case scenario, even lead to a stop of the whole movement. Omega is firmly rooted in the world of sports: Already in the 19th century, Omega watches were used for timekeeping at various sporting events. However, the big breakthrough came in 1932, when the company was named the official timekeeper of the Olympics due to the precision of its chronographs. Although Omega has meanwhile revolutionized Olympic timekeeping with highly complex electronics, the company still commemorates its mechanical beginnings with special editions of the "Seamaster" and the "Olympic Pocket Watch 1932". 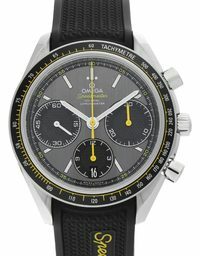 Omega's most famous model, the Speedmaster, has also been developed for performance and racing. However, it owes its iconic status to a very special cooperation: In 1962, NASA tested a series of chronographs under extreme conditions for the use in space. 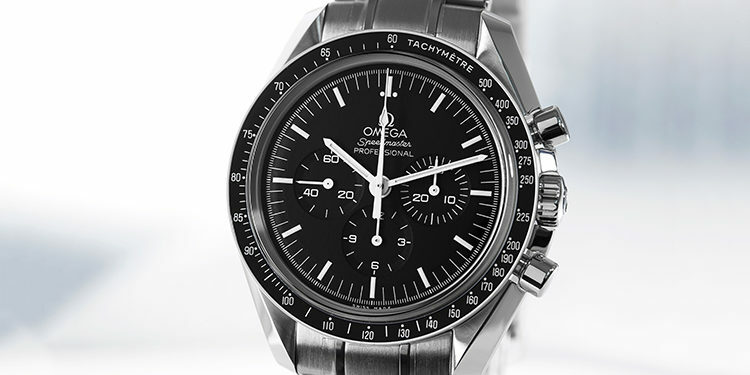 The Speedmaster passed all the tests and was selected by NASA, as it met the highest technical requirements best. Her stardom increased as the chronograph witnessed one of the greatest technical triumphs of humanity. When Buzz Aldrin entered the moon with Neil Armstrong in 1969, he brought the first wristwatch to the moon with his "Speedmaster Professional". No wonder then that the "Moonwatch" is considered the most fascinating piece of mechanic history that can be worn on the wrist. In 1970, the Speedmasters even proved themselves as lifesavers in space. When the spacecraft of the Apollo 13 mission crashed in space and all electronic systems had to be shut down, the astronauts used their Speedmaster chronographs to measure the time for their course corrections. But not only astronauts count Omega watches as their standard equipment, also the most stylish secret agent in the world. 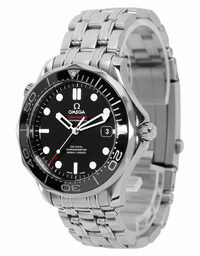 Since Pierce Brosnan took over the role of James Bond in 1995, the agent wore a model of the "Seamaster" series in each film. For the thriller "Specter" Omega created a to 7007 issues limited special edition, which was celebrated by Bond and watch fans alike. Omega's success is based on a mixture of the highest quality in conjunction with smart sorted cooperation. 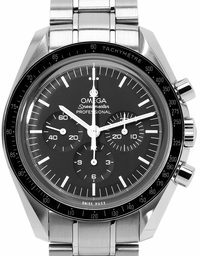 Not least, several trips of the Speedmaster models into space made the timepieces absolute classics. Their popularity is also reflected in the resale price: Not only rare models and special editions are experiencing an increase in value, making Omega watches a worthwhile investment. 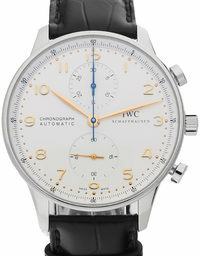 For example, between 2003 and 2015, the recommended retail price of the Speedmaster Moonwatch Professional almost doubled from € 2,180 to € 4,300. The cornerstone of the philosophy of Omega is a conceivably simple claim: the ambition to always produce better timepieces. The company is driven by a quest for perfect precision that has given it more accurate records than any other manufacturer. 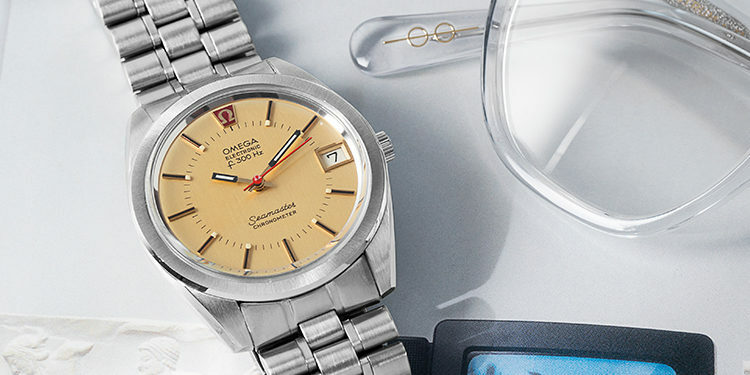 In contrast to many of its Swiss competitors, Omega never saw any contradiction in terms of its quality standards with respect to industrial production and from a very early stage played a pioneering role in the mass production of watches. For more than 100 years, the company has invested significantly in modern and efficient technology, which is why the company's models have a very good price / performance ratio and uncompromising quality compared to other Swiss watch brands. Like many Swiss watchmakers, Omega combines different styles in its range of series. 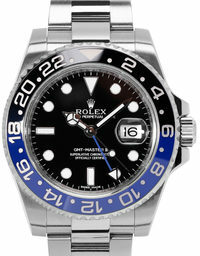 It´s most famous model series, the "Speedmaster" and the "Seamaster", are known for their sporty and functional design. In addition, Omega loves to play with the exciting past of it´s timepieces- especially the editions like the "Omega Speedmaster Moonwatch" has engravings on the back that tell the achievements associated with the watch. The "Constellation" and "De Ville" collections, on the other hand, are characterized by masterpieces of jewelry that combine a classically discreet yet dynamic design with precious materials. It is therefore not surprising that their men's and especially women's watches enjoy huge popularity, although they lack the glory of their sea and space experienced siblings. 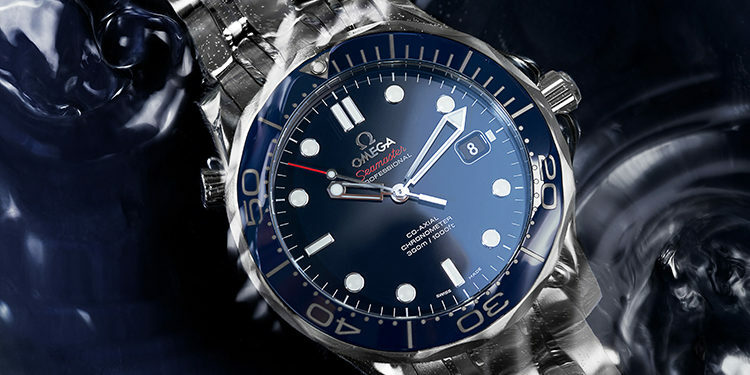 Omega is one of the leading Swiss luxury watch manufacturers along with other big names like Rolex and IWC. 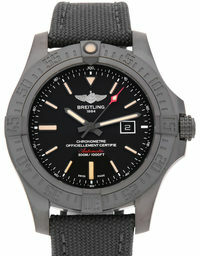 Their watches are known for their excellent quality and precision. 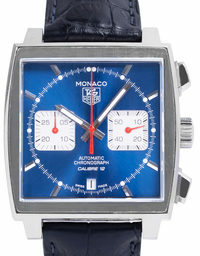 The company owes this reputation to several iconic models that are among the most legendary timepieces ever. 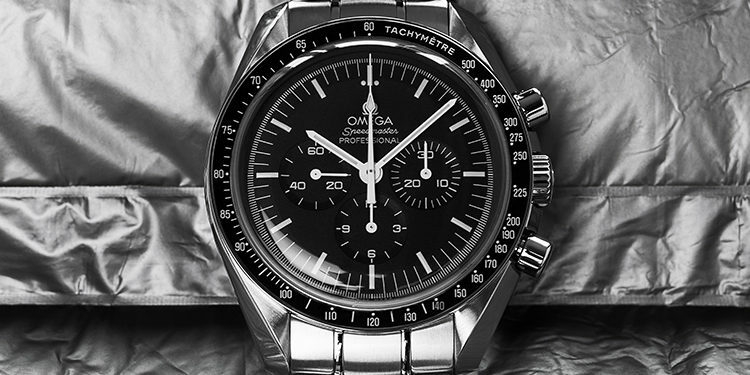 The best-known model of Omega is the Speedmaster, which has been produced for more than half a century. After NASA chose it in 1965 as the official astronaut watch, it was present at countless major moments in technology history: the first manned moon landing in 1969 is only the best known of them. Her fans love the thrilling past of the Speedmaster and their unmistakable design. The Omega Seamaster was created as a sturdy yet elegant timepiece that would serve its wearers "in the city and on the water". 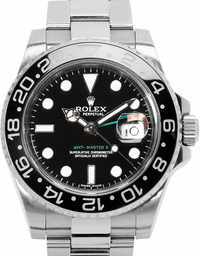 Over the years, it has become a professional diver's watch used by many famous adventurers and explorers. Probably the most famous marine researcher Jacques-Yves Cousteau even collaborated with Omega and COMEX to develop a diving watch for the toughest conditions - the Seamaster Ploprof - short for "Plongeur Professionnel" (French for professional divers). 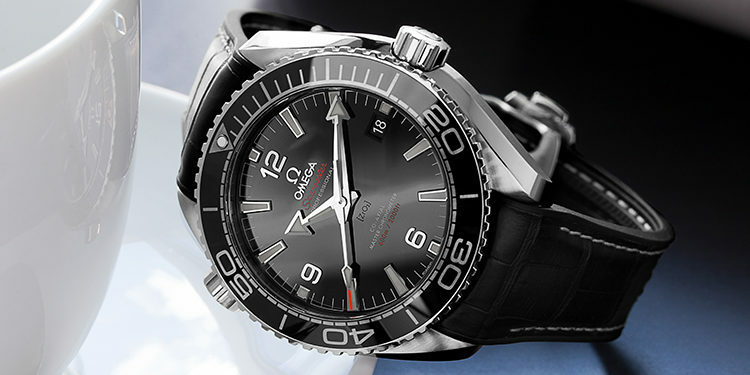 The Omega Planet Ocean 600M is the big brother of the Seamaster 300M and is waterproof up to 600M. It has a wider body of over 43mm and the helium escape valve makes it even sportier and is just for watch lovers with a larger wrist the perfect choice. The Constellation collection is Omega's most exclusive series, combining the manufacturer's most complex movements with elaborately crafted cases. Appreciated by connoisseurs around the world for their groundbreaking watchmaking skills, the year 2012 marks its 60th anniversary. The De Ville Prestige series has won a number of fans over the years thanks to its classic minimalistic design. 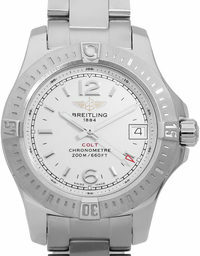 It impresses with its clear forms, luxurious materials and is ideal suited as a dress watch due to its restrained look. You will find a wide selection in our online shop: No matter if used Omega watches or luxurious vintage models, all watches are checked by our master watchmakers and provided with a certificate of authenticity for you. We guarantee you an excellent condition and the authenticity of our products. You have found your Omega favorite and would like to wear it on your wrist as soon as possible? 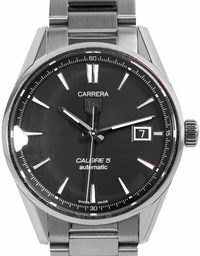 You can either buy your Omega watch conveniently by credit card or finance your omega with convenient monthly rates. Financing offers you the opportunity to plan your investment in the long term and to pay in small monthly installments. Our website will give you more information about which payment method might be right for you and fulfill the dream of an Omega watch today. Models and Prices of an Omega watch?